Last week, I shared in Homes Stretch, 3 Steps that, among other things, I am reminded there are three simple but hard steps working towards our own something cool … first, have the big picture clearly in mind and heart… second, establish mini 90-day snapshots to be the bricks in building that something cool, and, third, execute. The hard part is to take the time in getting clear… and in the doing it. Yes, clarity and commitment to follow through are simple and hard. And, crucial. This week, after an eventful, soul searching and eye opening week, I offer the following. If anything, this week confirmed for me that my big picture vision stands. It is important to be clear… and clarity requires diligence in the reflection on same. Clarity requires digging and questioning and observing and listening. This week, I had numerous moments to do so and get sure. My vision remains, and stronger for the reflection this week. It is 20022020, and I am a master and lifelong student of the global body of work around character leadership and unity building. I have learned conversational Mandarin and French to bring that work more global. I have also engaged a deepened level of spiritual studies and practice through The Ruhi Institute, and more. I am living a life filled with love, song, dance, cartooning, writing, epic stories, archery, boxing and more of what and who I love. My #bestlittledogintheworld Panda is by my side in enjoying it all. 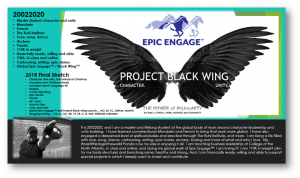 I am teaching business leadership at College of the North Atlantic, in class and online; and doing my global work of Epic Engage™. I am loving it! I am 110K in weight (slim for my body structure) and benching same; healthy and strong. And, I am financially ready, willing and able to support special projects in which I deeply want to invest and contribute. It is 20022020, and I am The Unity Guy™; student and educator around leadership grounded in character, unity, and spirit… delivering in English, Mandarin and French. I am living a life filled with love, song, dance, cartooning, writing, epic stories, archery, boxing and all of what and who I love. I am healthy and strong, and wealthy enough to do the work I choose; living as a happy and joyful man. That is my gift to me on 20022020. And, it is best manifested by understanding it as reality now. Michelangelo himself suggested that he carved the angel out of the stone, implying it was already in there. Getting clear on that pre-existing condition of reality matters and should not be avoided as something warm and fuzzy. It is bedrock. So, the big picture is confirmed, and in hand. Indeed, over the years, I have developed a system I call GREAT™ Vision. 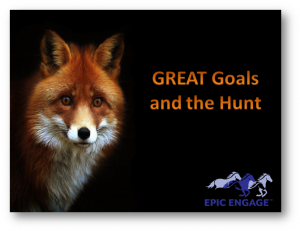 To have a powerful vision, you set your GOAL with specifics, then get abundantly clear on its RELEVANCE for you. You figure out how you will EVALUATE your progress. You determine your ACTIONS necessary, and you set your TIMETABLE. The above around which I have articulated these past few days and weeks meets the needs on goal, relevance and timetable. Let us consider execution and evaluation. Enter, the other two steps previously noted. I will eat “more than right” and walk daily. SNAPSHOT 1: November 15, 2018 through February 12, 2019… 90 days. I have completed and constructed my 20022020 462-day W.E.A.L.T.H.™ Plan. I am on top of my W.E.A.L.T.H.™ plan, holding true to its expectations. I am living a life filled with love, song, and dance. I am financially ready, willing and able to support special projects in which I deeply want to invest and contribute. I am living a life filled with love, song, dance, cartooning, writing, epic stories, archery, boxing and more of what and who I love. My #bestlittledogintheworld Panda is by my side in enjoying it all. I am soooooooo loving it! And, yes, I am financially ready, willing and able to support special projects in which I deeply want to invest and contribute. First, I had a dream. Then, I had a vision. It was deliberated on and articulated, and reflected upon and crafted. THEN, and now, I have a plan with a checklist for measurement. Now, it is about the execution. With that in mind, I am a strong believer that relevance fuels execution. Knowing THE WHY is vital. I know my why. I am approaching 60. I am young. My stroke taught me that life is not given; it is appreciated. The best way we can appreciate it is to live it. The best way to live it is to live it as you. In the Baha’ì Faith there are several Writings that even more deeply;y speak to me at this time. Noble have I created thee, yet thou hast abased thyself. Rise then unto that for which thou wast created. These words speak to me of the idea that we all are created noble but yet we sell ourselves much too short, forget who we are and are expected to rise to who we always have been. The betterment of the world can be accomplished through pure and goodly deeds, through commendable and seemly conduct. These words speak to me of a simple power we all have; character. Let deeds, not words, be your adorning. This speaks for itself; action… execution. They all speak to me of relevance, for me. My humble suggestion is to get clear on what is deeply important for you. Know your big picture, however simple it might be. Get clear on your snapshot milestones. Then, execute. Therein lies the GREAT hunt. Therein, the way to live up to our heroes.